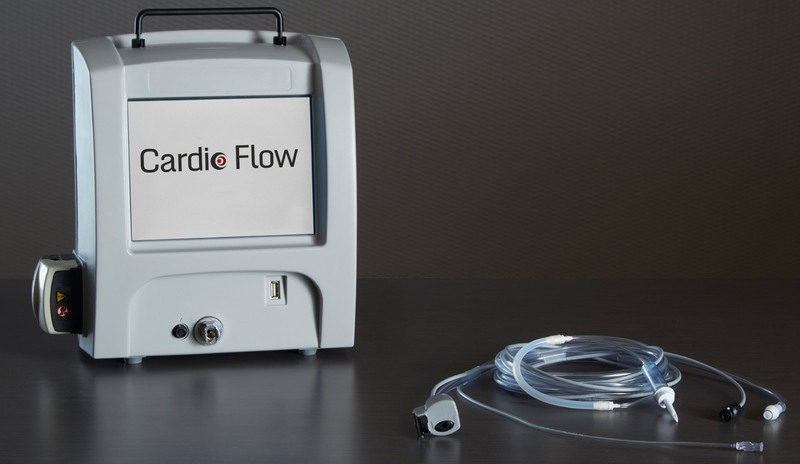 Cardio Flow’s FreedomFlow™ control module is a portable, reusable component that integrates delivery of saline and pneumatic power to the user handle. The control module touchscreen is the primary interface for operating the peristaltic pump and regulating the orbital speed of the user handle. The pre-programmed module includes a pneumatic pressure hose and hospital-grade electrical plug, and can be placed on a table or mounted to a standard IV pole. The tubing set is a single-use component that is supplied together with the user handle in sterilized packaging (using ethylene oxide gas). 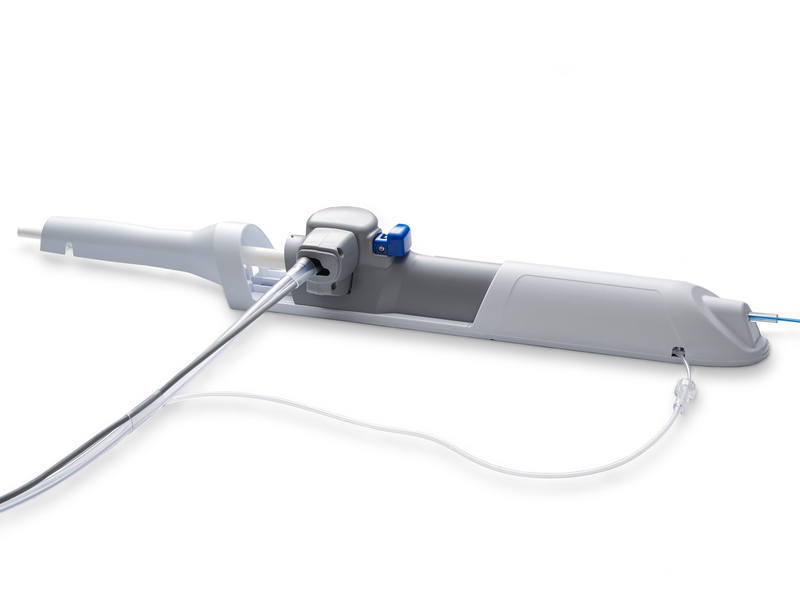 The tubing set delivers saline and pressurized gas from the control module to the user handle. A cable and sensor relay the orbital speed back to the module.